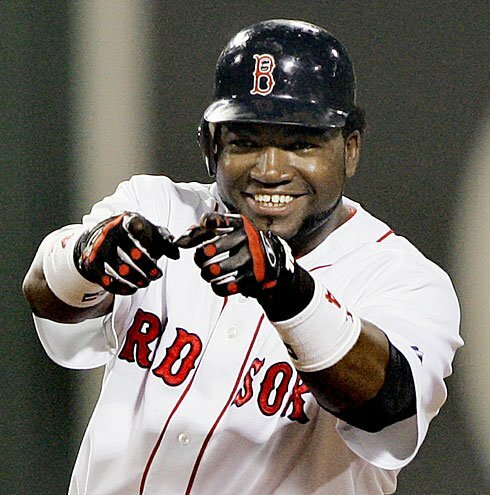 The Red Sox have come to terms with David Ortiz on a 1 year deal worth $14.75 million, avoiding arbitration. The deal is the exact midpoint of what the Sox offered and what Ortiz and his agent were asking for. As painless of a negotiation as possible. Say what you want about the off-season or lack there of that the Sox have had this winter, but this is an outstanding deal for both sides. Nobody has to worry about Ortiz throughout the season being unhappy or disruptive as has been the case the last couple years with contract disputes. Let's face it, he's the 15 million for this one season based on the way he has swung the bat and the sacrifices he's made for the team over the past 2 seasons, being shuffled up and down the lineup card and inconsistently being in the lineup at all against left handers. Bobby Valentine's lineup will be better with a content but still motivated (it is a one year deal) with a healthy Ortiz behind Pedroia, Gonzo and Youk. Hopefully Cherington has a plan for the outfield to fill out the rest of the lineup but locking up the best pure DH in the game doesn't hurt. Pats To Work Out A Deal For Ochocinco? Why Tom Brady is the G.O.A.T.